There is a great difference between those who are living for themselves and those who are living for Jesus. This is apparent in the workplace. Consider these differences in the area of leadership. Someone who can set direction and inspire instead of being bossy. Someone who makes others successful instead of using them for his advancement. Someone who is genuine instead of a manipulator. Someone who motivates through encouragement instead of through fear. Someone who takes time to listen instead of being set in his ways. Someone who builds others up instead of picking them apart. Someone who creates loyalty instead of mistrust. Someone who imparts vision and unity instead of confusion and dissension. 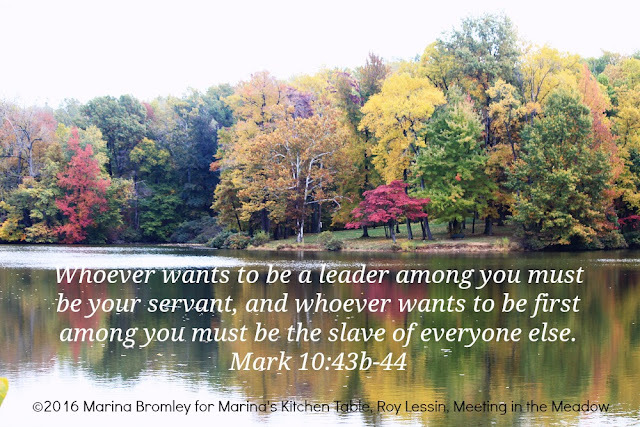 Father, I want to serve you with a true heart. Work in me the heart of your Son, the heart of servant who is willing to lay down his life for others. May I express before others the attitudes and actions that are a true reflection of your heart.